Google Docs is a great free online service to store copies of your documents on the internet and be accessible virtually anywhere. For those who not yet aware about Google Docs, it is a free, Web-based word processor, spreadsheet, presentation, and form application offered by Google. It allows users to create and edit documents online while collaborating in real-time with other users. There are times that you need to download multiple documents offline so downloader software like GDoc Backup is very useful. However you can still download multiple docs even without a help of third-party tools. Google Docs batch export feature is now available by default. Here's how. 1. 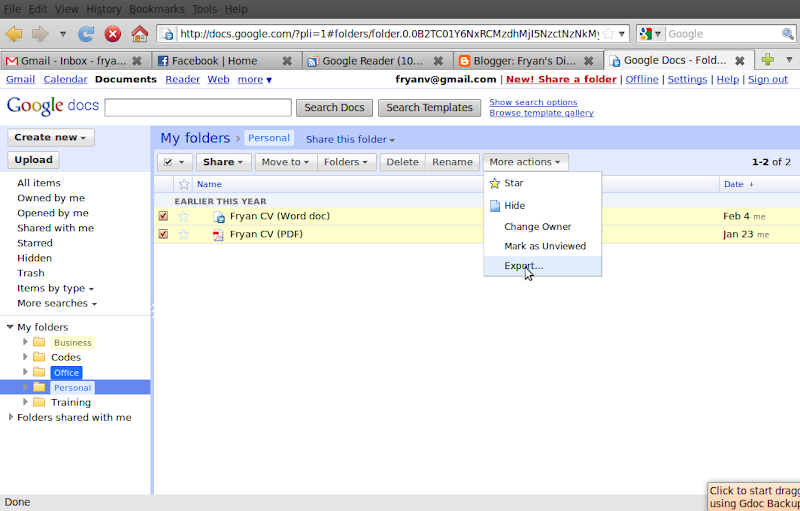 Select all documents you want to download then click "More Actions" and select export. 2. 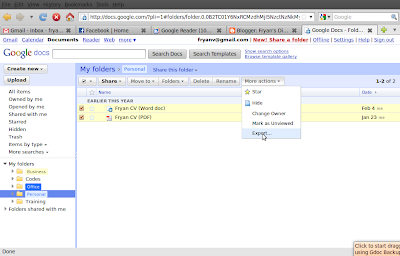 Google Docs will allow you to convert each file to a different format. Just click to continue if you don't want any conversion. 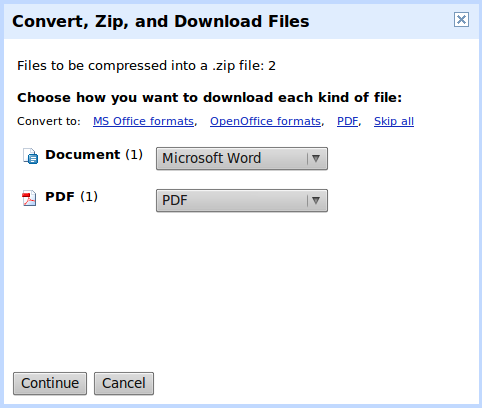 Google docs automatically download selected files and compress it to one large zip file.